Ridgewood High School alumni, Wojciech Gasienica has been named a finalist for the Fred Mitchell Outstanding Place-Kicker award. Gasiencia is a sophomore football kicker at the University of Wisconsin-Whitewater. 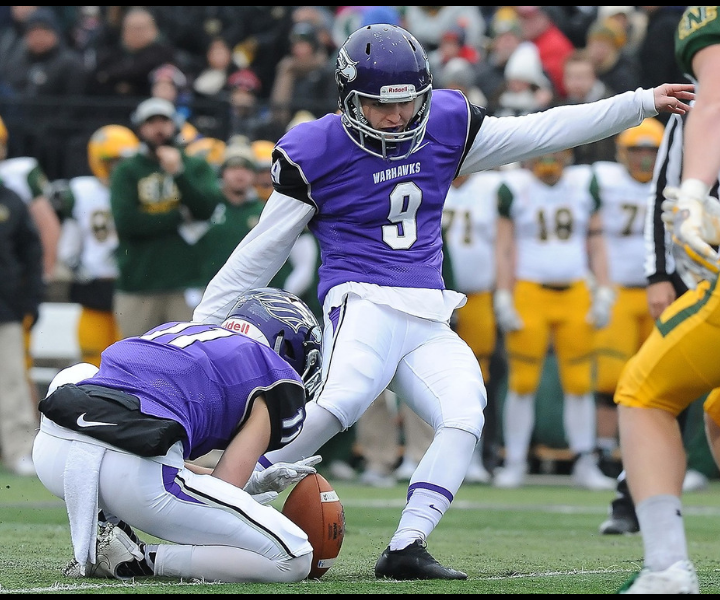 The award is presented annually to the nation's top place kicker among Football Championship Subdivision, NCAA Division II, NCAA Division III, NAIA and NJCAA institutions .Gasienica is one of three finalists from Division III schools and is the only sophomore to be nominated. A total of 40 candidates were considered and ultimately Gasiencia made the cut. The winner of the Mitchell Award will be announced Dec. 10 and will be honored Feb. 18, 2019, at the National Football Foundation Chicago Chapter Awards Ceremony. Read more about the nomination here.